Company SHIFT is founded in 2004 and registered for production, trade and services. 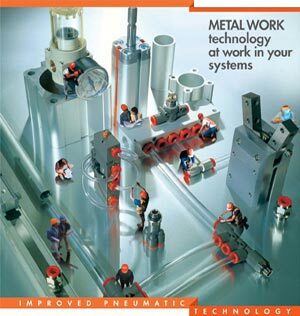 Starting with 01.10.2009., we became a part of METAL WORK Pneumatic S.p.a., Italy international Sales Network. As importer and authorized distributor of Metal Work S.p.a. for Serbian market, we guarantee to provide original Highest Quality Pneumatic Components from our stock, the most favourable prices and conditions of sale. Delivery time for requested equipment on Republic of Serbia teritory will not be longer then one working day after placing of order. If you order equipment before 12 AM (excluding holidays) equipment will be sent before ending of the same working day. Orders received after 12 AM will be sent during the next working day.